"Cel and family, So sorry for your loss!" "Our sincere sympathy to your family. Nan was such a..."
"I am so very sorry for your loss, Cel. We prayed for her,..."
"I'm so sorry and sad about her passing. 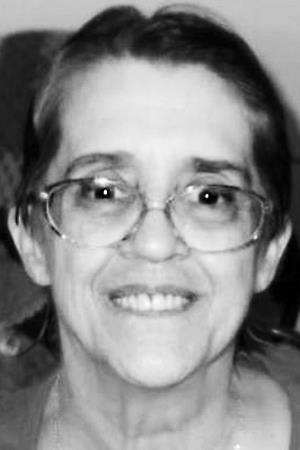 She was a..."
"Cel, So sorry for the loss of your mom, she was truly a..."
AUGUSTA - Nanette Ree (Carter) Lake, 64, lost her battle with cancer on October 23, 2018, with family at her side. Nanette "Nan" Lake was born on April 29, 1954, in Blue Hill, to her parents, Gordon and Edna Carter. Nan graduated George Stevens Academy, where she was a proud member of their rifle team. After graduating high school, Nan attended the University of Maine, at Farmington, where she met the love of her life and husband, Ernest Lake Jr. Nan graduated from the University of Maine at Augusta with an associate degree in Liberal Arts. Nan had a passion of reading and writing that lasted decades, including having an article published in The Orton Society. She was most known to her friends and family for the letters that she wrote. Nan loved sending letters to those she loved, as a way to keep in touch, no matter how close or far they were from her. These letters helped her keep in contact, while moving to different areas of Maine throughout her life, before settling down in Chelsea, to raise her family. Nan worked at Hannaford, in Augusta, under the vocation program at Employment Specialists of Maine for 15 years. Nan was predeceased by her parents, Gordon and Edna Carter of Blue Hill.She is survived by her husband of 44 years, Ernest Lake Jr. of Augusta; her beloved daughter, Celmalena Paquette and her husband, Michael Paquette of Chelsea. She also leaves behind her granddaughter, Olivia Paquette of Chelsea, whom she had a special bond with, and cherished. She is also survived by her sister, Kerry Astbury of Brooklyn, her brother, Greg Carter of Bangor; and several cousins, nieces, nephews, and friends that she considered family. She was a strong fighter that no matter how hard the battle, she never gave up. She will be greatly missed and leaves a hole in the hearts of those that were privileged enough to meet her. At her request, there will be no formal services. In lieu of flowers or cards, donations can be made, in her honor, to the Kennebec Valley Humane Society.